Refinancing your student loans is a hot topic these days. From coast to coast, there are plenty of new grads (and some old ones too) who are looking for ways to ease the burden of student loan debt. Depending on when you went to school, interest rates on student loans may have changed considerably. If rates are significantly lower now, it may make financial sense to refinance your student loans so that more of the payments you make each month go towards knocking down the principal of the loans you owe. I refinanced my student loans twice in the last 12 months, and for that reason, I definitely understand the pros of doing so. 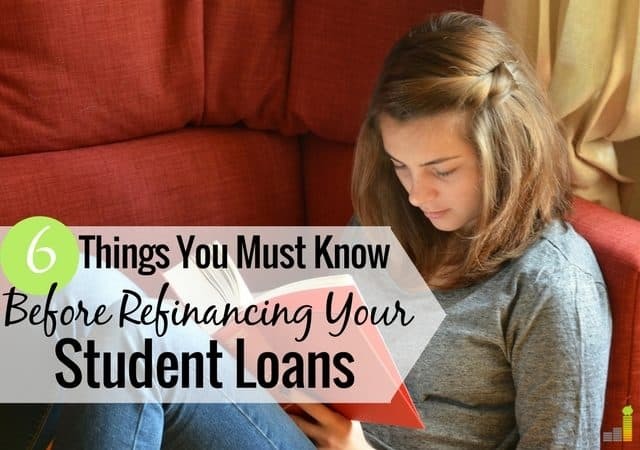 However, there are many cons to refinancing student loans too. Today, I’ll explain both sides so you can determine which direction is best for you. The rules of federal and private student loans change from time to time, and this definitely affects your decision as to whether or not it makes sense for you to refinance your federal student loans (or any type of student loan for that matter). So, before we start, keep in mind that what may be true about student loans today could be different in the future and those nuances matter when it comes to making a wise decision about whether or not to refinance student loan debt. For example, the interest rate for an unsubsidized direct loan for graduate students is 6% at the time of publishing this post. When my husband was in medical school, that rate was 6.8% which actually makes a big difference when you’re taking out six-figures in federal loans. So, before you decide whether or not to refinance your student loans, make sure you understand your student loan fine print before making your decision. With that said, below are some pros to refinancing. There are numerous reputable online sites like SoFi and Credible, which make it easy for you to pursue refinancing your student loans. Sometimes a lower interest rate translates into a lower payment as well, especially if you keep your same repayment period but have a lower interest rate. 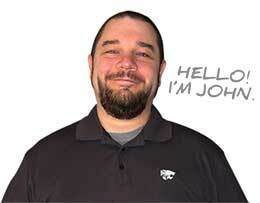 Let’s say you want to lower your payments. You can often stretch out your loan repayment, like from 10 years to 15 years, and that will reduce the amount you pay each month. Keep in mind this means you’ll be paying interest for longer, which isn’t preferred for those who want to get out of debt fast. You can also shorten your repayment period. For example, when you refinance your loans and select a short repayment period, like five years, you’ll often get the lowest interest rates available (provided you have good credit). This might mean your monthly payment is higher, but more of your money will go towards the principal. The biggest risk to refinancing your student loans is that you lose the repayment options that federal student loans offer you. Federal student loans have some of the best, most flexible repayment plans available. If you lose your job, you can switch to an income-based repayment plan or put your loans in deferment or forbearance. While some of the newer student loan refinance companies do offer some options to help you in times of need (like skipping a month if you can’t pay it) you really do have many more options to choose from with federal loans. When you have federal student loans and you die, your loans are forgiven. If you have private student loans, your co-signer has to pay for them. Or, if you don’t have a co-signer, your estate will have to pay for them. This is a very important consideration for people like me who have over six figures of debt. 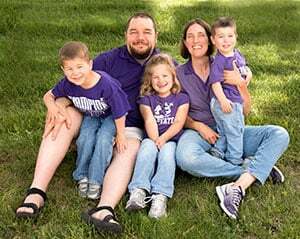 If my husband passes away unexpectedly, I won’t be responsible for paying back his medical school debt. However, if we refinance it to private loans, I will. When you have federal student loans and you return to school, you can pause your payments. When you refinance to private loans, it works like any other loan. Even if you’re back in school, you still have to make payments, much like you have to keep paying your car loan when you’re in school. Ultimately, whether or not you refinance your student loans is up to you, and it really depends on where you are in life, your income and how quickly you want to pay the loans off. 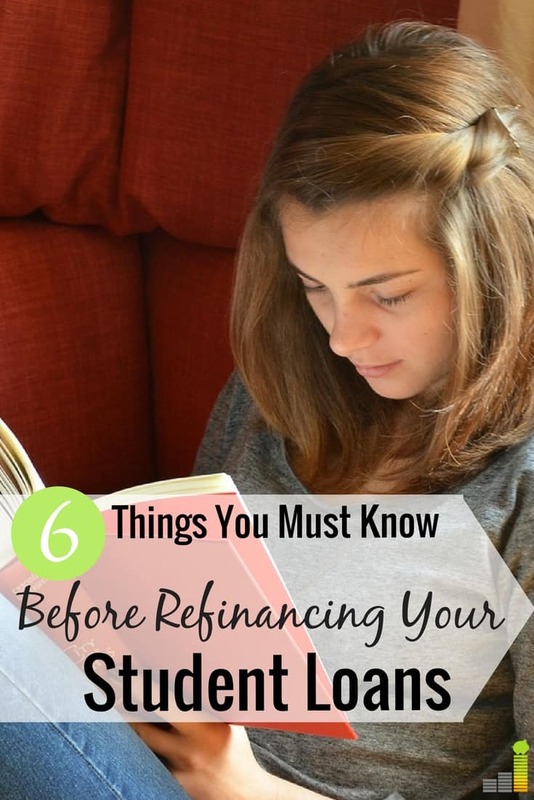 Just be sure to educate yourself on the process before committing to refinancing your loans. Refinancing can be a great option for people who want to save money on interest, but there are definitely risks involved. Have you ever refinanced student loans and, if so, how much did it save you? What are some other benefits to refinancing student loans you’ve found helpful? If you’ve not refinanced, what are some other ways you’ve tried to save money while repaying debt? These are all good things to consider. It’s also important to realize you need a good credit score to get the good rates. So anyone with a good score should definitely consider refinancing. Doesn’t hurt to look since most companies do a “soft” credit pull which doesn’t go on your report. Very similar post going up on our site next week 🙂 I checked out what sort of rates/benefits I would get on SoFi if I refinanced today, but the benefit was literally less than $200 in total, mainly because I’m at the tail end of my student loan repayment. For others who are early in their paydown it likely would save them a lot more and would make sense.